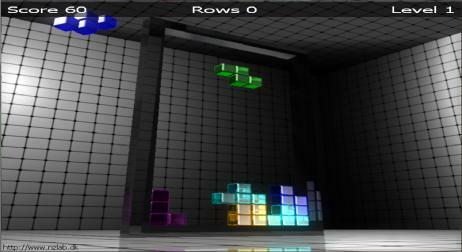 Crystal Cubes is a fine tetris clone in 3D where you can change the view by moving the mouse around. Each time when you build a tetris line the crystals are dropped out in front of you. Nice effect!